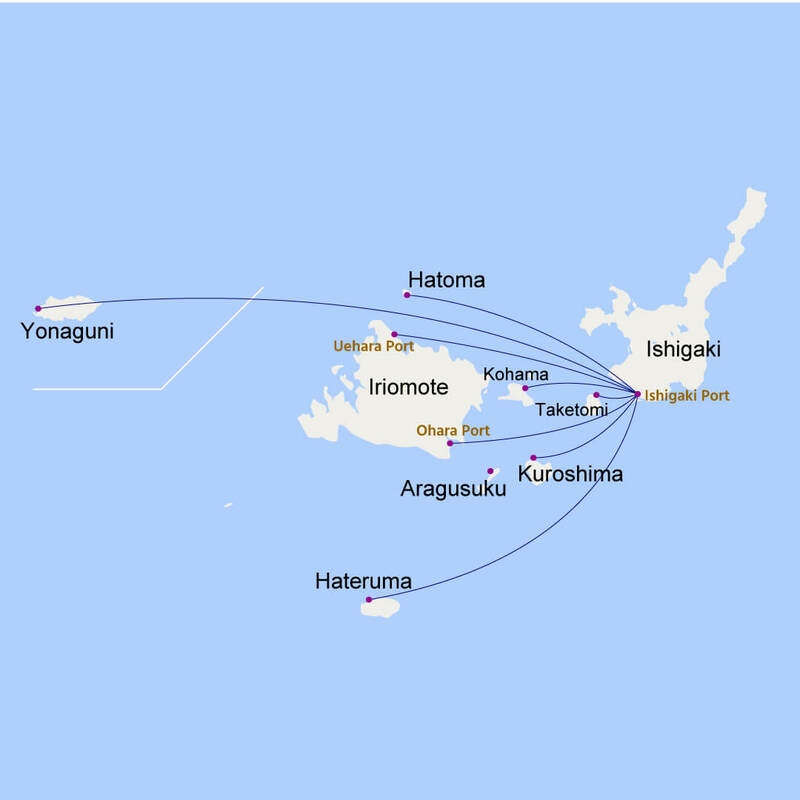 Okinawa is comprised of more than 160 beautiful islands of various sizes dotting the sea southwest of Japan. 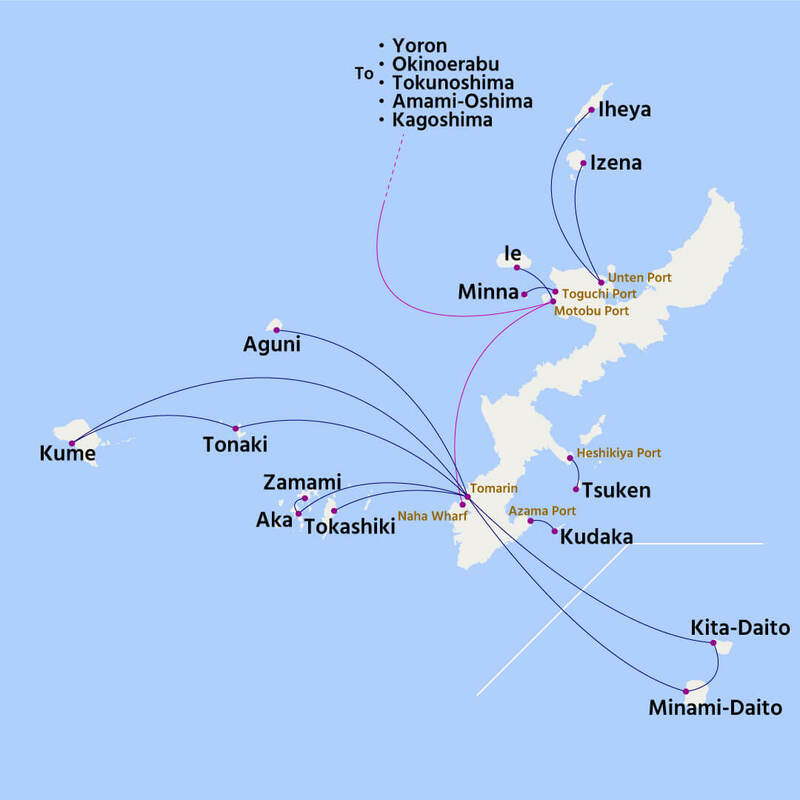 Going to a port and riding a regular or express ferry can allow you to access even small islands that do not have an airport. Additionally, even if you’re headed to an island that is accessible by plane, traveling by ferry is often less expensive than traveling by plane. *Travel times are estimates. Weather conditions and other factors may affect these estimates. In addition, the arrival and departure times or ports may change depending on the weather or port conditions, so please check in advance. * The operating company will be different depending on the day. *All travel times assume direct routes. *Because the ferries do not operate every day, please check the following to see what days they operate. 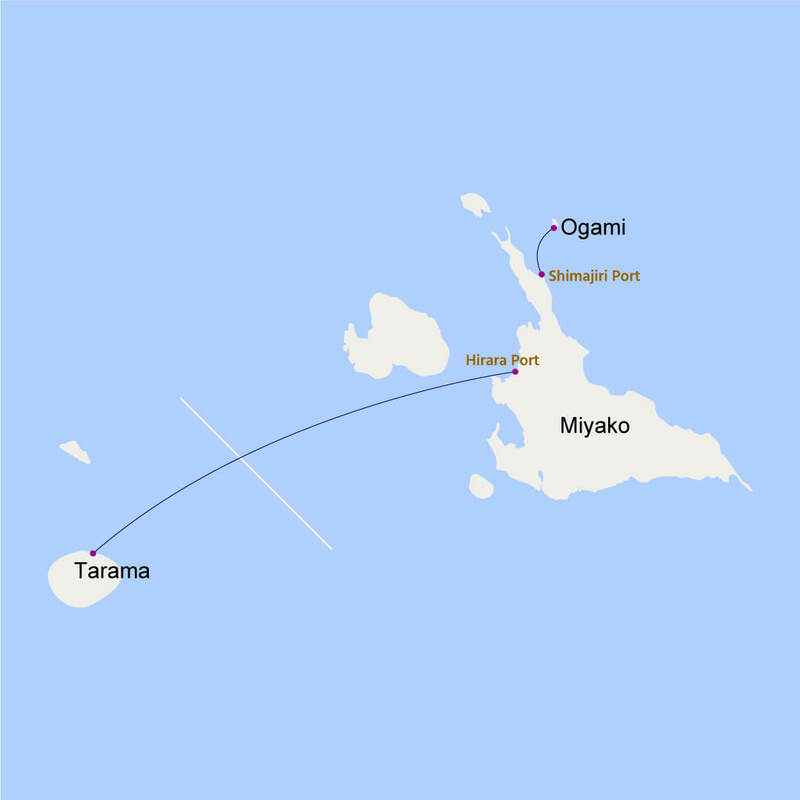 *Because there is no regular service, use the tour that departs from Ishigaki Port.